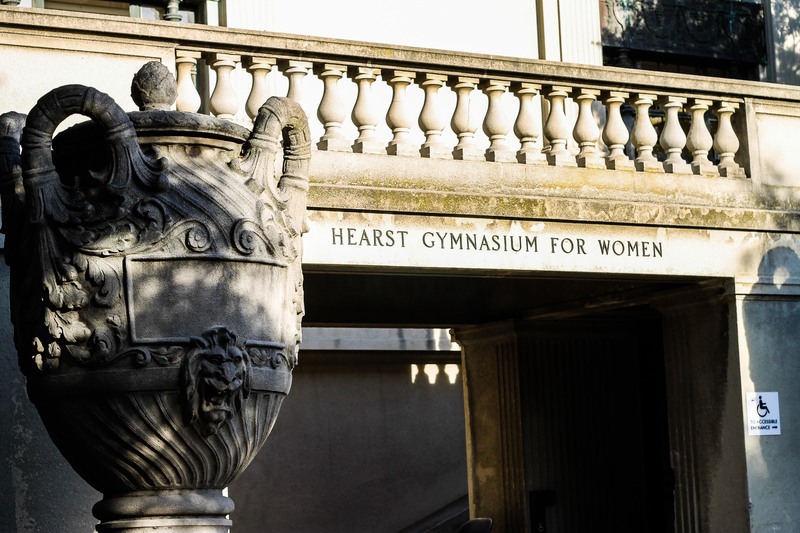 Ever noticed how often ‘Hearst’ appears on our campus? 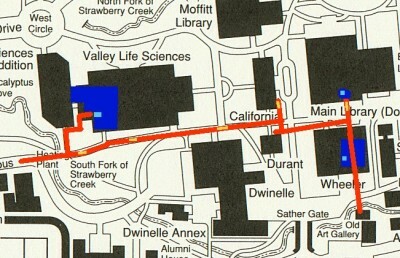 You start out on Hearst Avenue, head up past the Hearst Food Court and cut onto campus just before the Upper Hearst Parking Structure appears. 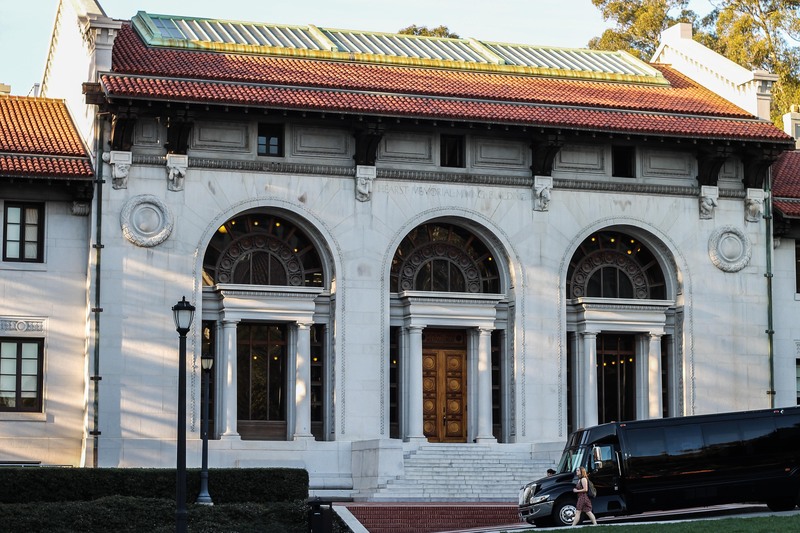 You walk around the reflecting pool at Hearst Mining Circle and glance at the imposing Hearst Memorial Mining Building before trekking up that last bit of hill until you hit Piedmont Avenue. Listening to your heavy breathing return to normal, you stroll past the Hearst Greek Theatre and then head down Bancroft Way past the Phoebe A. Hearst Museum of Anthropology (which you promise yourself once again you’ll try to visit) and past the Hearst Tennis Courts adjacent to Hearst Memorial Gymnasium. Utterly exhausted from your trek, you cut to the center of campus and collapse on a particularly grassy patch of Hearst North Field. As you doze, you consider how integral the name “Hearst” is to your campus. But for all its mention, who actually knows what the name represents? Phoebe Apperson Hearst — the generous philanthropist and benefactor behind the prevalent campus name — was crucial to the university’s development in the early 20th century. Some might vaguely know her as the wife of successful miner George Hearst (the Hearst Memorial Mining Building was built by Phoebe Hearst in his honor) and others as the mother of William Randolph Hearst (who funded the Greek Theatre). Yet when it comes to UC Berkeley, it is Phoebe herself who has contributed the most. 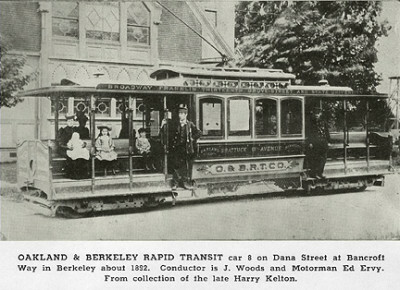 Phoebe Hearst’s involvement with the then-fledgling UC Berkeley campus began with a competition. Determined to make UC Berkeley a world-class institution, she started the “International Competition for the Phoebe Hearst Architectural Plan for the University of California” in 1898 to find the best architectural design for the campus. 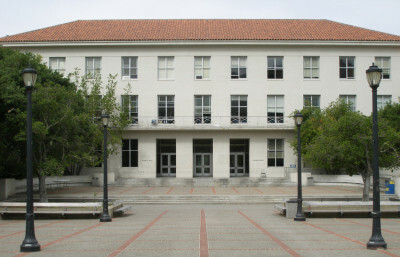 One of the winners, John Galen Howard, became the campus’s architect. Working closely with Pheobe Hearst and supported by then-university president Benjamin Ide Wheeler, he designed and built more than 20 buildings, including Doe Library, the Campanile, Sather Gate as well as California and Wheeler halls. Phoebe Hearst continued as a major benefactor to UC Berkeley and was its first female regent, serving on the board from 1897 until her death in 1919. Since then, “Hearst” has become a part of our campus vocabulary. 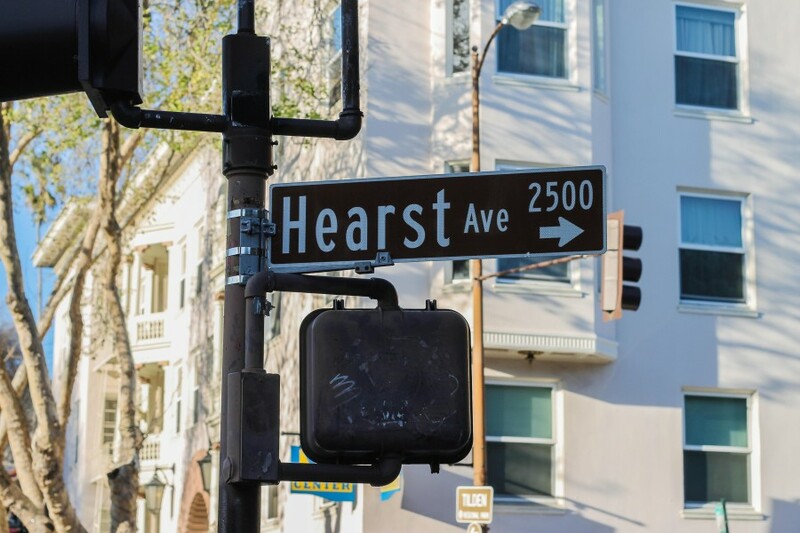 The Hearst family name expands farther than the UC Berkeley campus. Other places you may have heard the Hearst name include the Hearst Corporation and Hearst Castle, or you may have heard of another famous family member, Patricia “Patty” Hearst. Hearst Castle is located in San Simeon, Calif., with its absolutely stunning architecture, landscape and gardens. The land was purchased in 1865 by George Hearst, Phoebe Hearst’s husband, but the castle was built by their son, William Randolph Hearst. Hearst Corporation is a mass media group based in New York City and founded by William Randolph Hearst. The company’s field includes Harper’s Bazaar, Cosmopolitan, Esquire, Elle and O, the Oprah Magazine. It also has 29 television stations through Hearst Television Inc.
Patricia “Patty” Hearst, the great-granddaughter of Phoebe Hearst, was kidnapped from her Berkeley apartment by the Symbionese Liberation Army but shortly began sympathizing with her captors and joined their cause. She was arrested and convicted for attempted bank robbery but was later granted a presidential pardon by then-President Bill Clinton — his last official act before leaving office.